RB FLOAT is the perfect platform for exercising effectively and efficiently on water. Our outside pool is located between the studio and the main clubhouse. Classes are 40 minutes and will be offered from June until September, weather permitting. Please be prepared to get wet, even participants with excellent balance have a hard time staying on the board! Similar to our studio Pilates classes, RB Float will emphasize a low-impact conditioning workout utilizing strengthening and toning movements to lengthen the body, increase flexibility, and build strong core muscles. RB Float will include traditional yoga poses, contemporary Pilates repertoire and high intensity cardio during each class. 30 June, 14 July, 28 July, 11 August, 25 August. PLEASE DON'T FRET... if classes are full, add your name to the waitlist, or email info@rightbalancepilates.com to book a private session! Right Balance has created SUP Pilates, a unique fitness experience that offers a fun and challenging Pilates class on water! SUP Pilates is an excellent way to strengthen your core, gain flexibility, and most importantly - find the RIGHT BALANCE in your body. 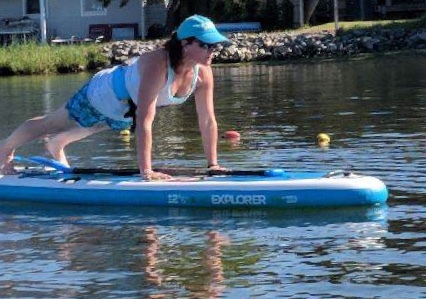 Enjoy being on the open water and surrounding yourself with nature while doing Pilates on a Stand Up Paddle Board. Classes are offered in Dewey Beach on the warm and shallow Rehoboth Bay. This is a great way to center your mind and rejuvenate your body. Bring your friends and make memories! 16 June, 7 July, 21 July, 4 August, 18 August. PLEASE DON'T FRET... if classes are full, add your name to the waitlist, or email info@rightbalancepilates.com to book a private session!. Classes will be held unless severe weather occurs. If a class is canceled due to weather, you will be notified 30 minutes prior to the class start time via text and email. In the event a class must be cancelled, a credit or refund will be provided. 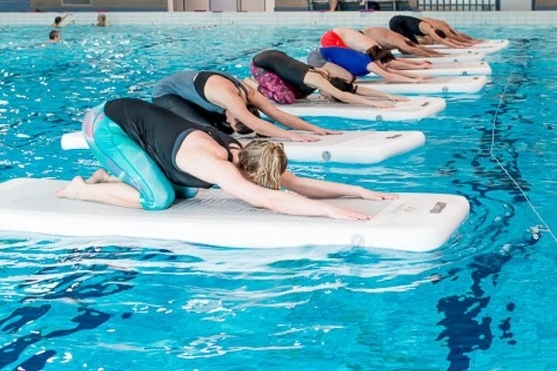 Our RB Float classes are 40 minute workouts on water, so wear normal gym gear that you don’t mind getting wet! You might want a towel and a change of clothes for the ride home! Right Balance Pilates has a pool right behind the studio. Please head towards the Tennis Courts, walk up the stairs, and the pool is visible from there. If classes are full, add your name to the waitlist, or email info@rightbalancepilates.com to book a private session. If there is an early-cancelation (outside of 24 hours), the first person on the waitlist will be automatically confirmed for the class. If you clear the waitlist and no longer wish to attend, you are responsible for canceling the class online. You can only clear the waitlist outside of the 24 hour cancelation period. Failure to attend a scheduled class results in losing your class fee. Please cancel if you cannot attend. Classes will be held unless bad weather occurs or if the water is too choppy. If a class is canceled due to weather or not fun water, you will be notified 60 minutes prior to the class start time via text and email. In the event a class must be cancelled, a credit or refund will be provided. 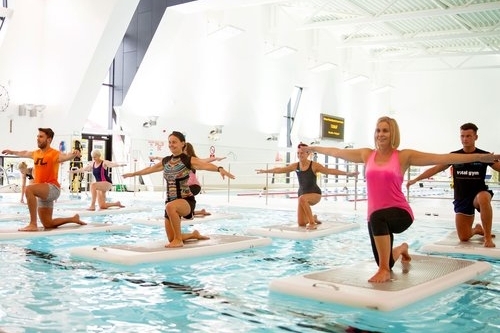 Our water fitness classes are on water, so wear a bathing suit or normal gym gear that you don’t mind getting wet! You might want a towel and a change of clothes for the ride home! Bay Resort Motel, Dewey Beach - 135 Dagsworthy Street, Dewey Beach, DE (Enter Through the Hotel's Back Gate – Look for Delmarva Board Sport Signs). Parking in Dewey Beach along Dagsworthy Street is metered so please download the Park Mobile APP prior to arriving. (No restrooms on site). Parking is free every day before 10 a.m. and after 5 p.m. on Mondays, Tuesdays and Wednesdays.